Randy Rivera worked past two early errors to throw seven shutout innings in this July 1990 game for high-A Peninsula and he explained to The Newport News Daily Press how he did it. "I get a lot of ground balls," Rivera told The Daily Press. "I'm a control pitcher and I don't walk a lot of batters. I feel great. I hoped I could go for as far as I could go, as long as I could go." Rivera played that year between short-season Bellingham and Peninsula. He got into 20 games and started seven. That offseason, the Oklahoma State product played winter ball in Puerto Rico and then returned to Oklahoma. That January, west of Oklahoma City, he and two others were killed in a car accident. He was 23. Rivera's pro career began that June, signed by the Mariners as an undrafted free agent out of Oklahoma State. 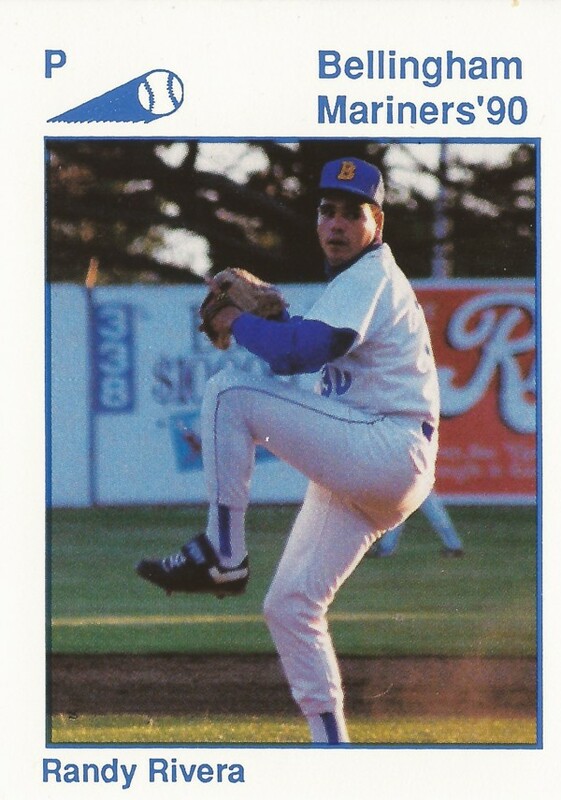 As a youth, Rivera threw a near perfect game in the Connie Mack World Series, something he counted as his greatest thrill, according to his Bellingham card. He received his first pro offers after that. At Oklahoma State, Rivera gave up one hit over three innings in a March 1989 game, then picked up his fifth win that year in an April game against Missouri. With the Mariners, he started at Bellingham. He got into three games in relief there, without giving up a run. He then moved to Peninsula. He got into 17 games there, started seven. He went 5-3, with a 3.23 ERA. Playing winter ball in Puerto Rico, Rivera went 4-3, with a 3.65 ERA. Rivera was born in New York, but later moved to Puerto Rico. His funeral services were held on the island.